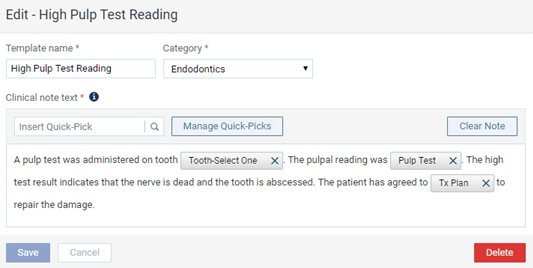 For any location, you can delete any of the default clinical note templates that are included with Dentrix Ascend and any of your custom clinical note templates. This does not affect clinical notes that are already attached to patient records. 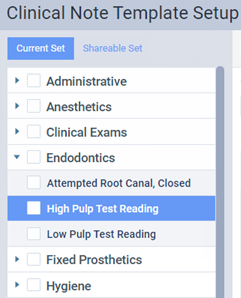 On the Settings menu, under Patient Care, click (or tap) Clinical Note Templates. The Clinical Note Template Setup page opens. On a location's Clinical Note Template Setup page, select a clinical note template. The options for editing the clinical note template appear.